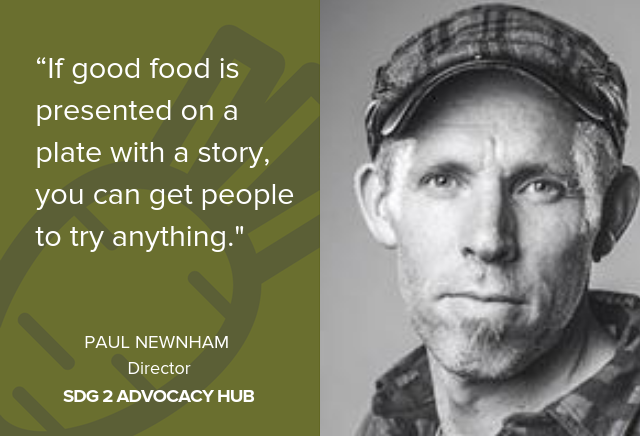 Below, I speak with Paul Newnham, director of SDG2 Advocacy Hub, about galvanizing chefs to support biodiversity. 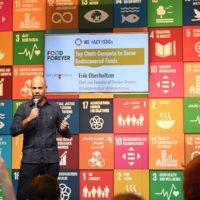 The SDG2 Advocacy Hub is an initiative bringing together NGOs, advocacy groups, civil society, the private sector and UN agencies to lead campaigns and advocacy work to achieve Sustainable Development Goal 2 (SDG2): to end hunger, achieve food security and improved nutrition, and promote sustainable agriculture by 2030. Biodiversity is one of the five goals of SDG2. As part of this work, the Hub has worked with over 240 chefs from 38 countries to create a Chefs’ Manifesto, a framework outlining how chefs can contribute to the SDGs. This year, it’s working with its Chefs’ Network to champion the use of alternative grains. Danielle Gould: Is biodiversity a priority for SDG2 Advocacy Hub? If so, how and why? Paul Newnham: Yes, biodiversity is a priority of the SDG2 Advocacy Hub. Biodiversity is one of the 5 targets of SDG2 and the only goal that is set to be achieved by 2020 — just a year away at this point. As such, there is an urgency here to do more and faster to maintain the world’s genetic diversity and ensure access to genetic resources. At a conceptual level, I see biodiversity as a spearhead that can drive action for SDG2 more generally as biodiversity is closely related to good food, sustainable agriculture, climate resilience, improved nutrition, etc. DG: How does SDG2 Advocacy Hub define and think about biodiversity? What does an ideal biodiverse food system look like? DG: What isSDG2 Advocacy Hub doing or planning to do to promote biodiversity? PN: To help promote biodiversity, the SDG2 Advocacy has developed the Chefs’ Manifesto, which looks at Biodiversity in one of the 8 focus areas. In 2019, we will support the Food Forever 2020 initiative to drive action and awareness on biodiversity loss. The Hub will engage the Chefs’ Network to support and champion alternative grains. More practically, it will drive consumers towards more diverse eating habits by showcasing success stories of rediscovered, diverse foods to bring into the mainstream. PN: There is a great example in India where Original Indian Table supports smallholder farmers’ access to markets by partnering with chefs and selling rediscovered grains such as amaranth, flax seeds and millet. Based in West Africa, Yolélé Foods is another great example of a business championing the grain fonio in the US to stimulate a sustainable market that can help support fonio farmers in West Africa. PN: Greater funding is required to support research in alternative grains, as well as to generate a market for this good. These actions can help to support more farmers to in turn adopt traditional grains. DG: Why should eaters care about biodiversity? How do you (or will you) get them to care? 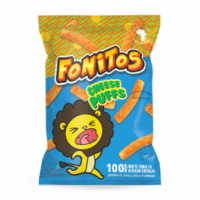 PN: Eaters should care about biodiversity because it’s exciting new food to try that’s tasty and engages their senses. Many of these foods are better for you and the planet. I believe that if good food is presented on a plate with a story, you can get people to try anything. The Chefs’ Manifesto Network is doing this in a range of countries through dinners and workshops. DG: What are the greatest challenges and opportunities SDG2 Advocacy Hub faces for creating a more biodiverse agricultural system, and what are you doing to overcome or capture them? PN: The fragmented landscape of SDG2 and lack of advocacy on biodiversity poses a challenge to rallying SDG2 actors around biodiversity. We are trying to remedy this by championing biodiversity as a core policy area in the coming year, as well as creating biodiversity touch points in upcoming events in 2019, highlighting the importance of biodiversity and how it can deliver for nutrition, livelihoods, climate, etc. DG: What are some of the most important things chefs can do to support biodiversity? 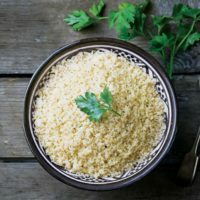 PN: Chefs can do much to champion biodiversity inside and outside of the kitchen by adding alternate grains to their menus and teaching people how to cook with them. These actions will help to drive demand for some of the more obscure foods that have been present for centuries. PN: I think there needs to be a greater exposure to diverse ingredients. 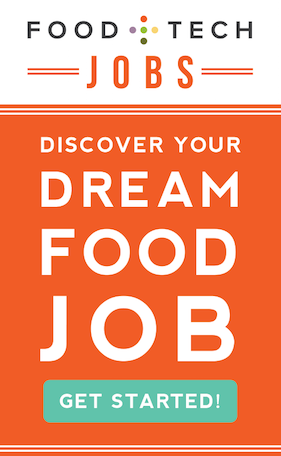 This can happen through showcasing events such as the Food Forever Experience held in NYC in September. PN: My vision is we will be eating a more diverse set of plant-based ingredients and markets will shift to meet this new demand. In order to do this, we need a focus on innovation in research around agriculture, sharing of this information with farmers and data to measure progress. Paul Newnham is the director for the SDG2 Advocacy Hub, an initiative bringing together NGOs, advocacy groups, civil society, the private sector and UN agencies to coordinate global campaigning and advocacy to achieve Sustainable Development Goal (SDG) 2. To this end, the Hub has worked with a community of 240+ chefs from 38 countries to create a Chefs’ Manifesto- a framework outlining how chefs can contribute to the SDGs. As a result of this work, Paul works closely with Chefs across the globe to make a local difference in the kitchen everyday for global change. 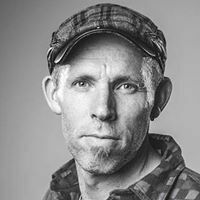 Paul has over 20 years’ experience in National and Global roles with a focus on Campaigning, Youth Mobilisation, Advocacy, Marketing and Communication. As a dynamic and strategic innovator, Paul brings teams together to achieve planned objectives. Through inspirational and evocative leadership, Paul is able to enthuse and motivate others, achieving goals beyond expectation. Paul has lived and travelled across the world. agrobiodiversity, Biodiverse Food, Biodiversity, Chefs' Manifesto, Fonio, Original Indian Table, Paul Newnham, SDG2, SDG2 Advocacy Hub, SDGs, Sustainable Development Goals, Yolélé Foods.